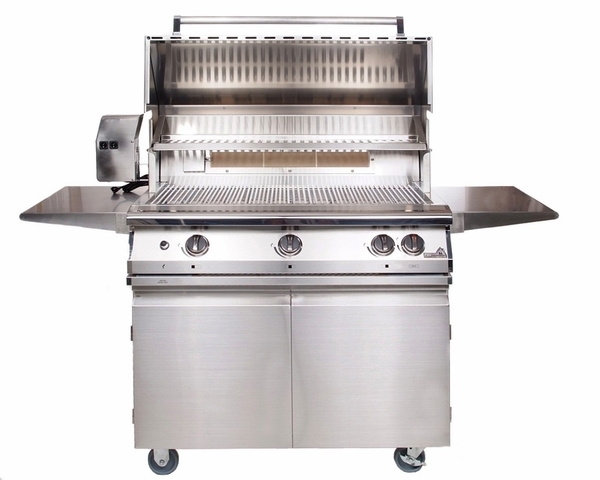 39-inch Pacifica gourment grill uses liquid propane. 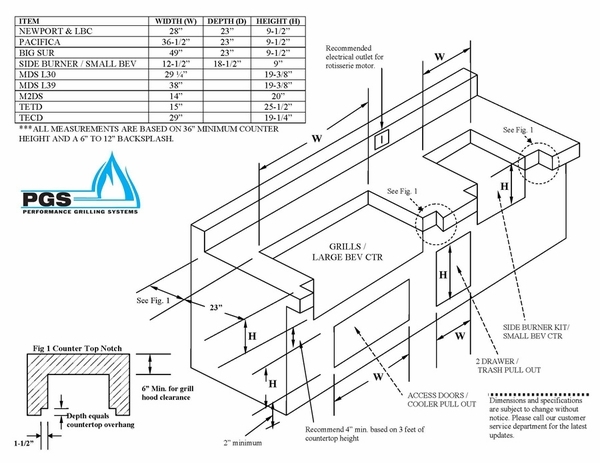 Can be mounted or placed on portable cart. Features infrared rotisserie burner kit along with three other burners. Uses "Sure Start," a battery operated electronic ignition. 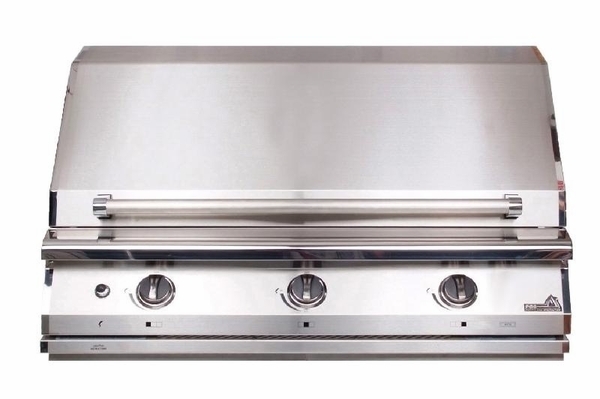 This 39-inch gourmet liquid propane grill by Pacifica features three stainless steel burners that put out 25,000 BTUs each; that's 75,000 BTUs of heat capacity. 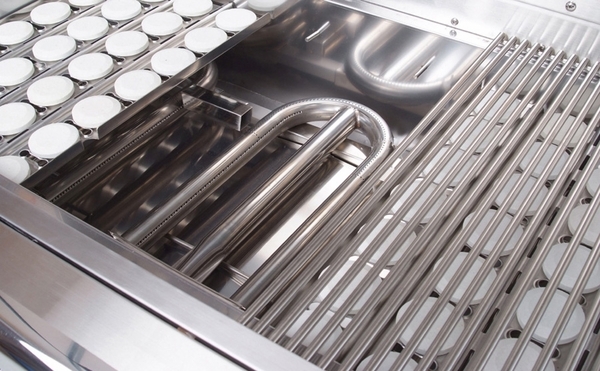 It also comes with the RK36 infrared rotisserie kit that produces 14,000 BTUs itself. 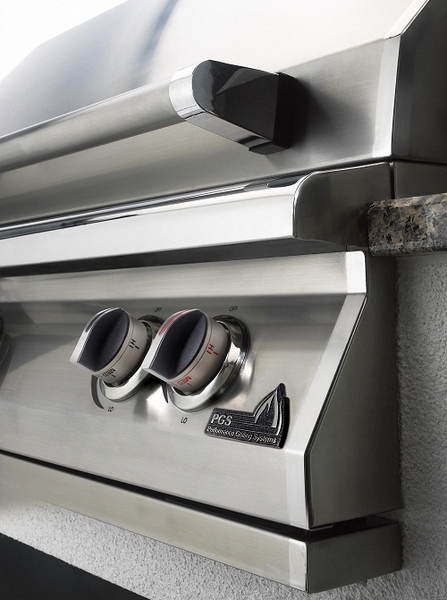 It has a cooking grid system that is variably spaced over ceramic rocks for even heat distribution; that means fewer flare-ups and less charred food. 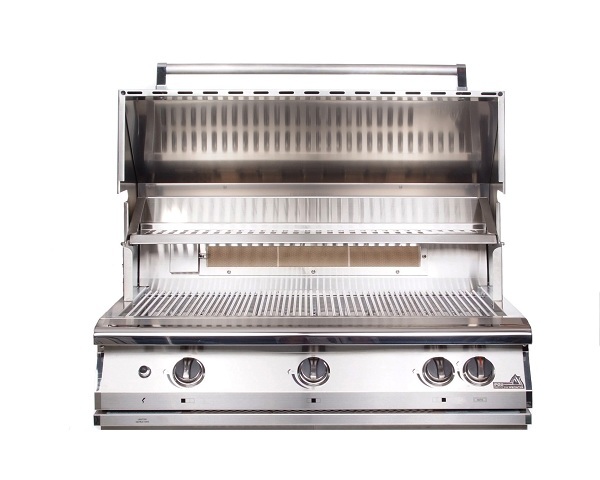 The grill provides 720 sq. in. of primary cooking space with an additional 260 sq. in. 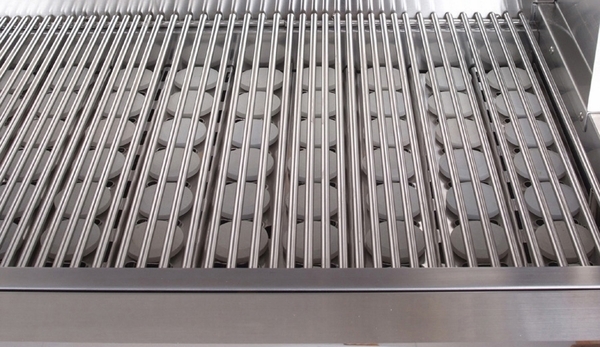 of warming rack. It's everything a grill master could want. It even comes with a lifetime warranty on the grill's major components. 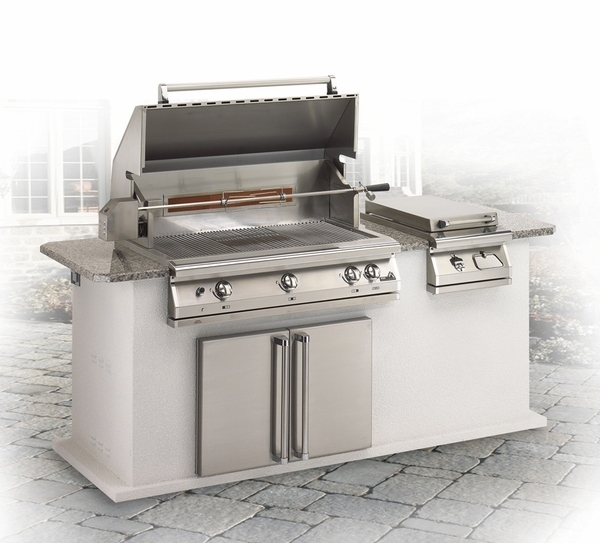 * Please Note: Check the Accessories Tab to find a compatible cart for this grill.